Made of 1 inch stainless steel， these crash bars are built with precision-manufactured mounts that integrate directly into the motorcycle’s frame through the motor mount. They are self-reinforced by a cross bar， and wrap protectively around the fairings， radiator and water pump. 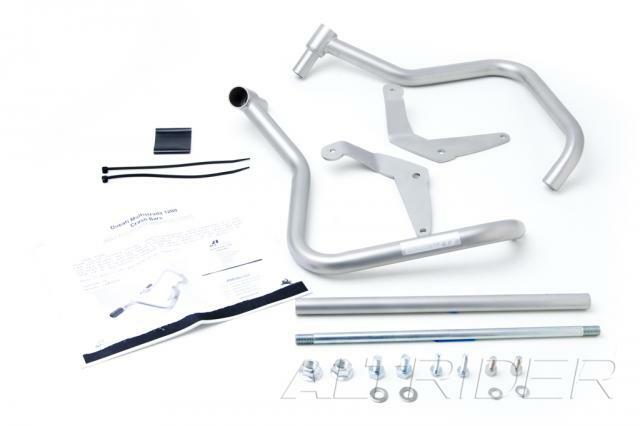 The AltRider Crash Bars are available with a silver shot peen satin or black powdercoat finish， so even if the bike takes a spill the stainless bars are extremely resistant to rust or weathering.